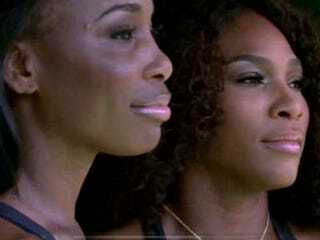 Sisters Venus and Serena Williams sat down with the New York Times to reminisce about their childhood recently. The siblings were raised in Compton, Calif., at the height of the town's gang violence, which claimed the life of their eldest sister, Yetunde. The in-depth profiles discusses their early training and a videotape in which Serena toddles around the court while Venus, the older of the two, hit balls with their parents. Richard and Oracene had become uncannily expert, if unavoidably eccentric, tennis coaches and analysts by the time Venus and Serena started hitting. Indeed, behind the minor miracle of there being two tennis virtuosos in this single family with no previous tennis background, there had been the previous miracle of both parents' understanding the game well enough to teach and guide the girls. "I don't honestly know how that happened," Venus told me in Cincinnati. "It's interesting. I don't know how my parents were able to learn the game so well."